It’s so nice having herbs on the window sill, not only are they handy but these little pots look great too! 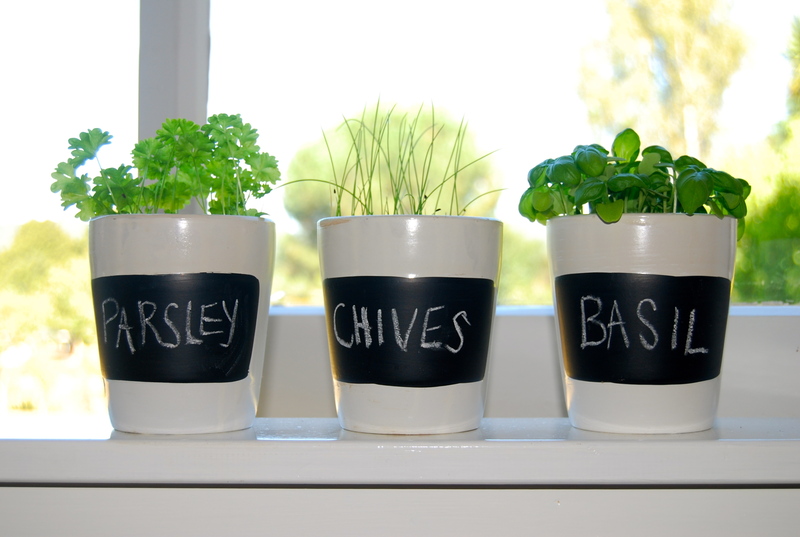 There’s no reason you can’t do something similar at home, little pots aren’t expensive and chalkboard paint is so readily available these days. Such a great idea! What a charming idea , I must look out for something similar . Does hubby water them ?